The video below is a follow up to my last entry that compared two jump rope conditioning techniques (see here). As mentioned previously, there is much more to jump rope workout routines than performing continuous double unders. To focus solely on a single turning style limits the potential of what truly is a tremendous conditioning tool. Like the previously demonstrated sprint in place, a fast paced criss-cross is ideal for jump rope conditioning. This skipping style allows for high speed action. Both the hands and feet must work quickly and in sync. Therefore, this turning style is not only about conditioning, but also coordination. And once again, I have not created these recent videos to suggest that double unders are not effective. On the contrary, I am reminding athletes that there is more to rope skipping than performing double unders for time. In other words, don’t put all of your eggs into one basket. The jump rope is a tremendous conditioning tool that is inexpensive and can be used almost anywhere. It is rare that you will find an exercise tool that offers so much for such a minimal investment. In a world of overpriced fitness fads, the jump rope is one of few items that have stood the test of time. It rarely receives as much attention as it should however as most overnight gurus haven’t invested the time to learn the techniques. Fortunately, jump rope training is not nearly as difficult to learn as many believe. With a few months of practice, you will have a conditioning tool that you will never outgrow and can be used wherever your journey takes you. Definitely agree with Ross. 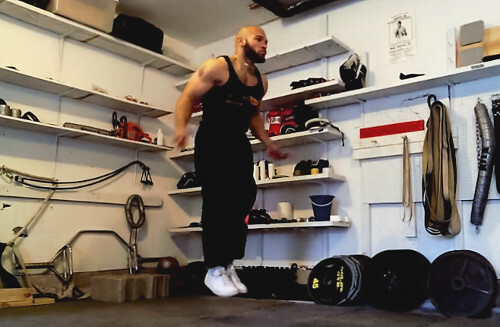 The jump is often overlooked in the mainstream fitness culture, but it’s one of the best tools any boxer/fighter/crossfit trainee can have. Great video Ross!